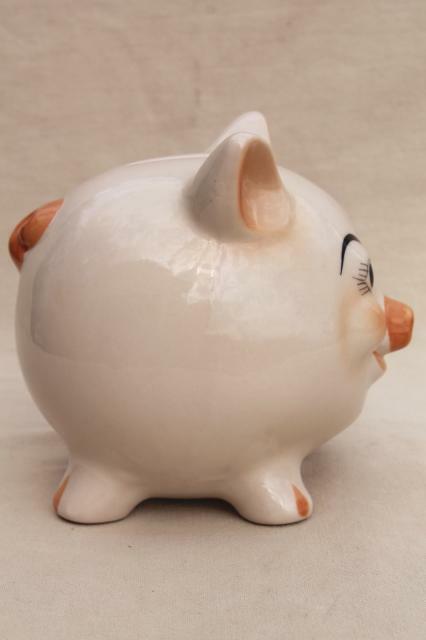 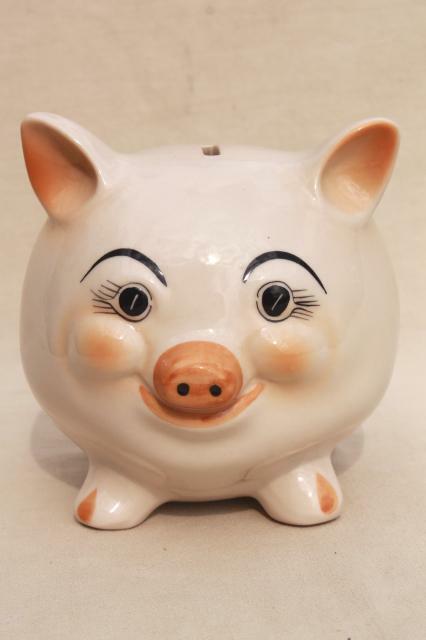 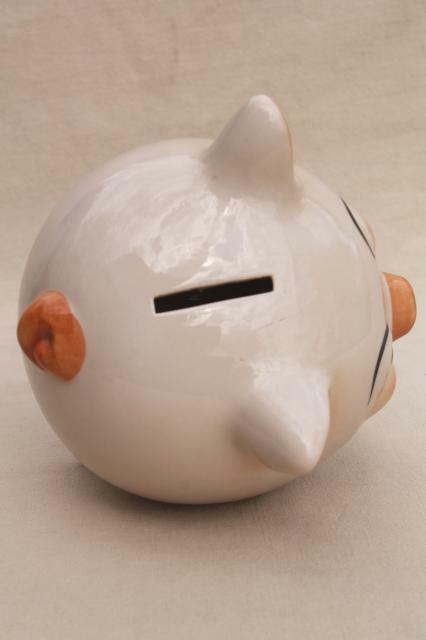 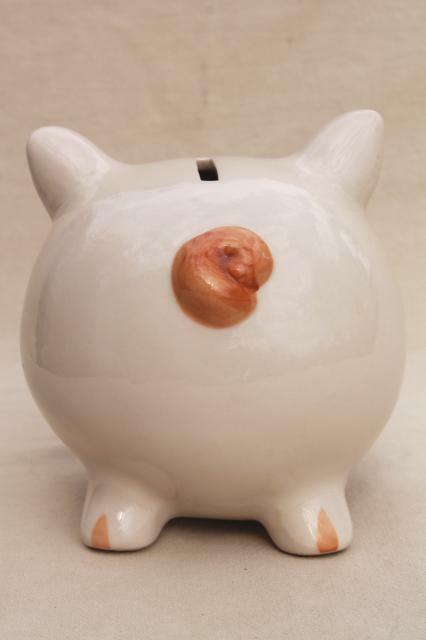 I think this might be the cutest piggy bank we've ever seen in all our years of collecting! 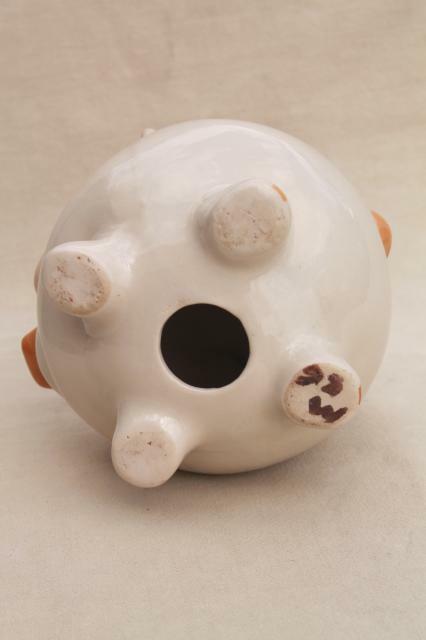 It's unmarked ceramic, missing the stopper or cork but otherwise in very good condition. 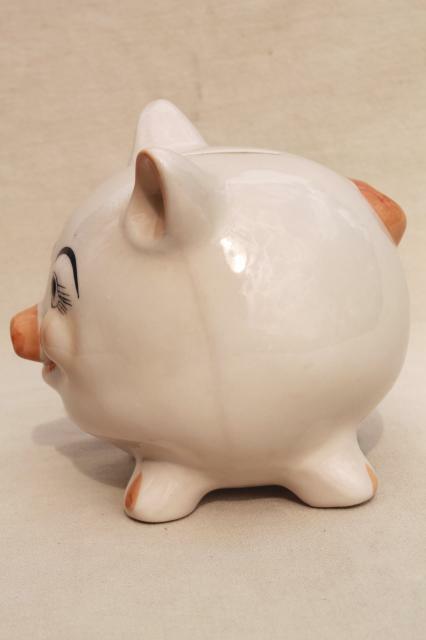 The pig measures about 5 1/2" x 5 1/2" x 5 1/2" - almost round. 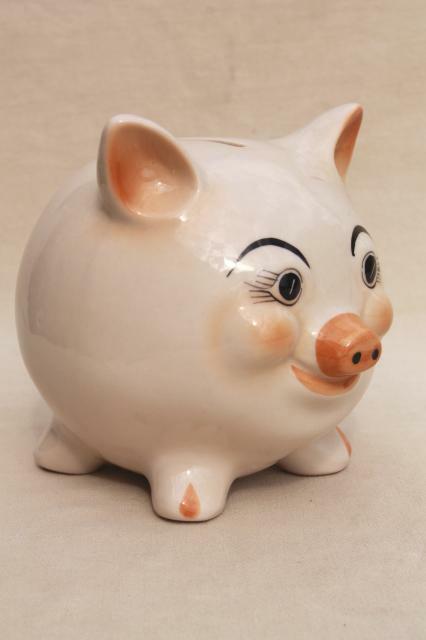 It's a Yorkshire pig, I think.